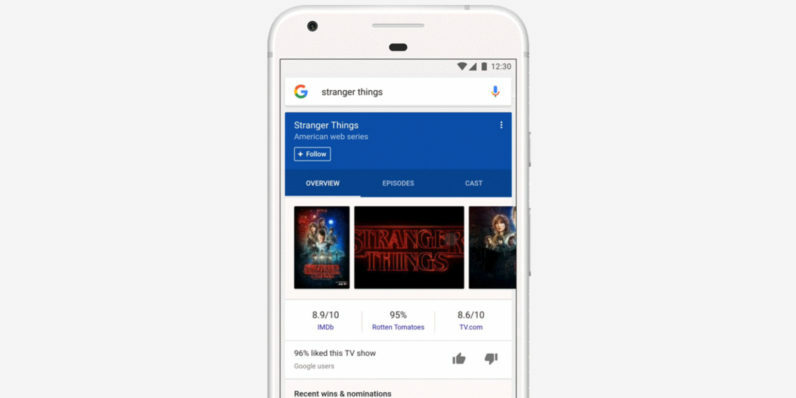 Good news for folks who find Google’s mobile news cards useful in its search app and launcher: the service will now not only bring you stories related to things you’ve searched for, but also trending topics and happenings in your area and around the globe. For example, if you’re a photography enthusiast but just casually interested in fitness, your feed will show that. You’ll also be able to fine-tune your feed by tapping a new ‘follow’ button that accompanies search results for things like movies, sports teams, music artists, and celebrities; there’s also an option to unfollow topics: simply tap a card you don’t care for and indicate you’re not into it. The update is rolling out to the Google app for Android (as well as the Pixel Launcher) and iOS tomorrow in the US and will be available globally in the next couple of weeks.